Contractors Seminar – with Addison Hartmann of Sierra Pacific Mortgage. Learn about the benefits of Rehab (also known as 203K) Loans. February 20, 5-7pm at Helping Hands World Headquarters in Providence. World Famous Hot Dogs and Drinks! 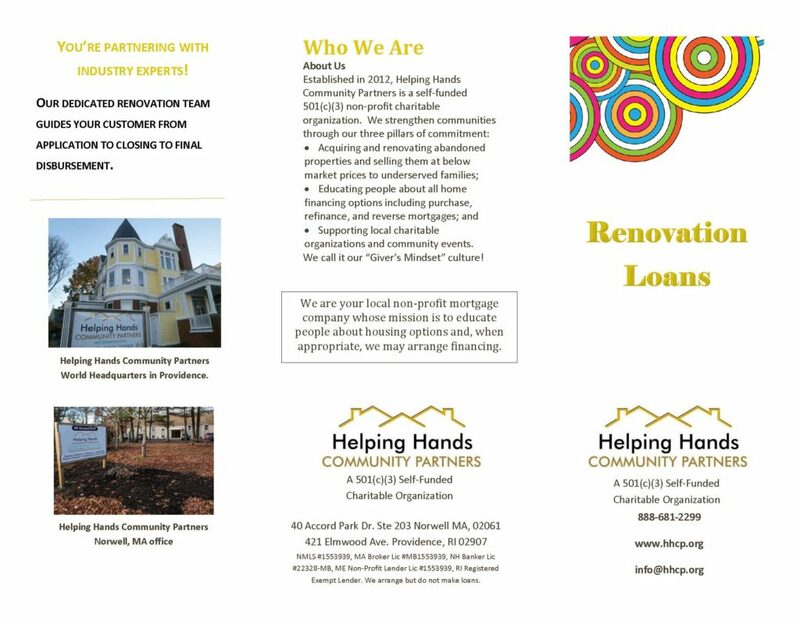 Contact Helping Hands Community Partners for information about 203K Rehab loans! You’re guaranteed to get paid! Our renovation program sets aside escrows funds at closing to pay you as work is completed. No more stressing about “does the customer have the money to pay me when the job is done?”. We can increase your pool of customers! We can give borrowers with less than perfect credit access to potentially hundreds of thousands of dollars to spend on renovation! We can help borrowers with minimum down payments on purchases or current equity on refinances! Unlike standard loans or home equity lines, renovation financing is based on future equity (After Improved Value)! 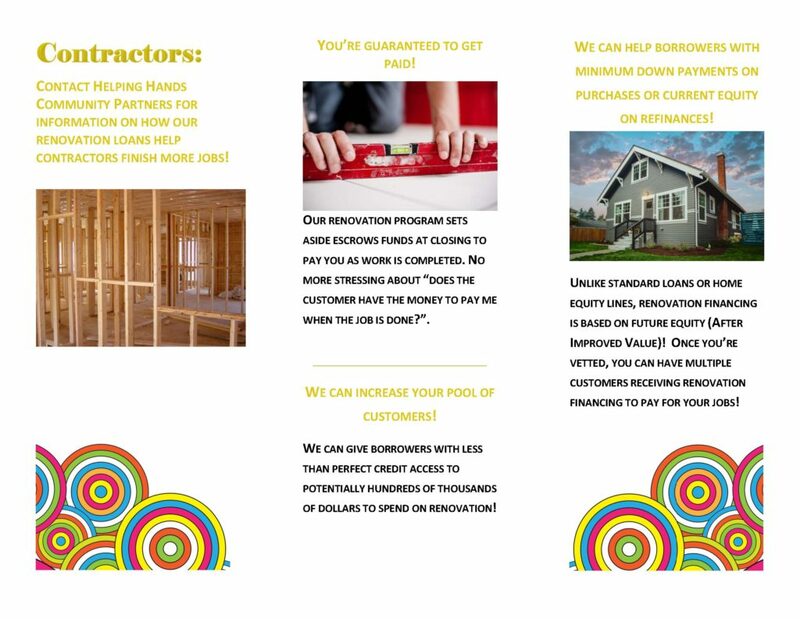 Once you’re vetted, you can have multiple customers receiving renovation financing to pay for your jobs! You’re partnering with industry experts! Our dedicated renovation team guides your customer from application to closing to final disbursement.